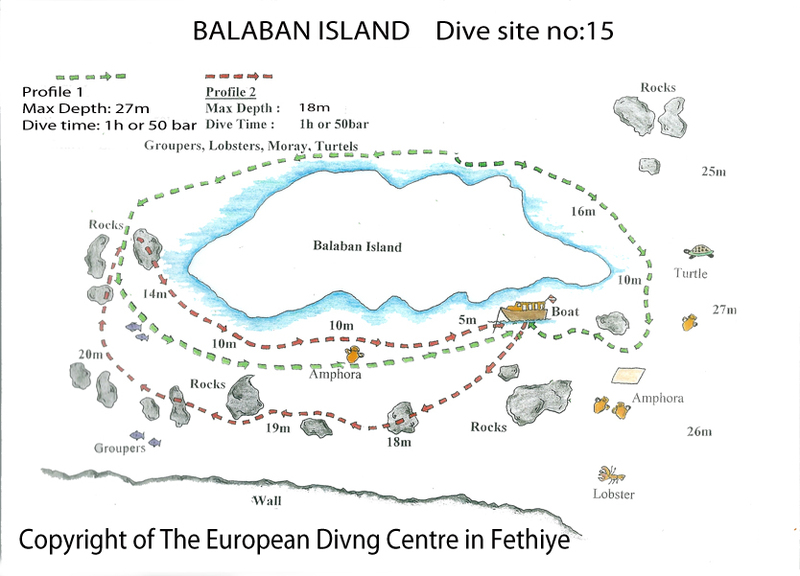 Balaban Island » European Diving Centre Fethiye. An island in the open sea! This dive site is perfect for divers of all certification levels, the gently sloping rock walls allow depth control to be easily achieved. On the eastern point lies Deep blue balaban which is approximately 250 metres deep. Our dive guide will point this feature out to our divers. For the more experienced diver a full circuit of the island is possible, air consumption permitting. The north side of the island is in the shade most of the time but is still home to lobsters and crabs plus the occasional moray eel. Reaching the western most point of the island is where the sunlight makes an appearance and huge schools of barracuda have been regularly spotted hunting at this location. The return leg along the southern coast of the island is bathed in sunlight and gives the budding photographer great opportunities to spot cardinal fish, squirrel fish and several species of sea bream. Safety stops are carried out under the boat.